After the failed merger with T-Mobile, analysts predicted that Sprint will have little choice but to commence a huge network upgrade, now that it is clear it will be braving the unforgiving carrier landscape elements on its own. It is therefore no wonder that the 4th largest US carrier unveiled an ambitious capital expenditure plan back in December, aiming to upgrade its network to the tune of $6 billion this year. 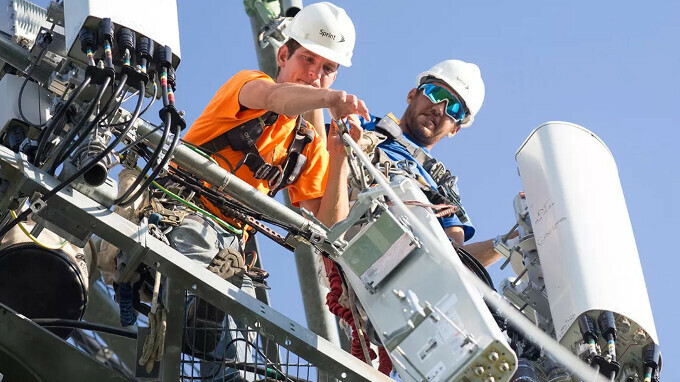 That's double what it spent last year, and analyst have noticed that it is already starting to deliver on the project, with requests for proposals (RFP) sent left and right to tower companies, small cell manufacturers, and fiber suppliers. According to Jennifer Fritzsche from Wells Fargo: "Sprint is real. The RFPs are coming at an increasingly growing rate (and have built since the CFO change). These RFPs are wide in scope – macros, small cells and fiber. One contact even indicated S [Sprint] has already placed orders for some of these antennas." Apparently, SoftBank’s chief executive Masayoshi Son, who is Sprint's chairman, too, was serious about the multibillion network investments, as Crown Castle, the company that builds carrier towers, hinted at two new long-term contracts it has signed, and the lease duration indicate these are Sprint and Verizon. Sprint also inked deals with the wired providers Cox and Altice not long ago, aiming to further increase its backhaul reach and capacity. In the short run, the company will be adding 2.5 GHz and 800 MHz antennas to new and existing cells and towers, in order to increase its coverage, said Sprint's CTO. The 5G efforts of other carriers are just about to bear fruit, and Sprint doesn't want to be left woefully behind, it seems. I heard this way back in 2005 when Sprint purchased Nextel. Sprint needs so much help to improve it's everything (image, network, perception). It's not perception. They are consistently bad and consistently come in last place in independent tests. T-Mobile had this same problem 6 years ago when I got them. Over time the network has improved and their perception certainly has improved. I don't get stupid looks anymore when I tell people which carrier I use. Sprint has to duplicate what T-Mobile has done. And I used to work for them and drank the koolaid. I feel sorry for the employees that have to try and justify all Sprints inadequecies to their customers. Its Pathetic really. They were in a Better postion than Tmobile at one point and completely blew it and look what Tmobile has accomplished. T-Mobile is just as bad as Sprint in my testing. If you want reliable coverage AT&T and Verizon is the way to go. Of course that's not always the case. I can tell you of plenty of areas where Verizon and AT&T are out performed by Sprint at least (and probably T-Mo). i.e. My son's San Fran Apartment (My phone outperforms his Verizon) My friend's Houston house. (My phone outperforms friend's AT&T) Ski Resorts in Colorado (My phone outperforms friends' AT&T & Verizon's phone outside, yet under performs them deep in buildings) And there's more, like Internationally. I had no issues in Panama and Costa Rica. My friends with Verizon all ended up sharing locally bought phones. But admittedly in plenty of areas (semi remote Wyoming, Verizon is best). So, if you travel between Casper and Thermopolis Verizon outlasts everyone else. I agree, that AT&T and Verizon have the best overall coverage, but It really depends where you live. Where I live T-mobile is a viable alternative. My brother is on T-Mobile, and the speed locally is much faster than Verizon. He doesn't ever complain about coverage either. He used to be on Sprint, Sprint is a joke. It was like 3g speeds. It is faster than before. This morning I was having issues with Xfinity, it was super slow (2 Mbps instead of normal 125 ). So I turned off the WiFi, checked Sprint's speed, and it was 56 Mbps. That speed is good with me. It is faster than the WiFi I get in some of my friend's houses. I spent 19 years as a Sprint customer before finally making the switch to T-Mobile several months ago. I am still rooting for them from the sidelines and wouldn't rule out coming back if they fix the holes and speed inconsistencies in their network. Sprint works better for me when I'm back in Los Angeles, but T-Mobile works a bit better for me in my current home, Atlanta. I personally think it's too late for Sprint. They need a major overhaul. First definitely expand their coverage first. I wouldn't even worry about 5G until they get coverage and LTE-A down. If they can cover the whole map by 2019 they're in business but if not, they'll prob just keep lagging behind until they go bankrupt or bought out honestly.